The old adage that ‘trends fade, style is eternal’ takes on a whole new meaning when you’re a professional stylist. 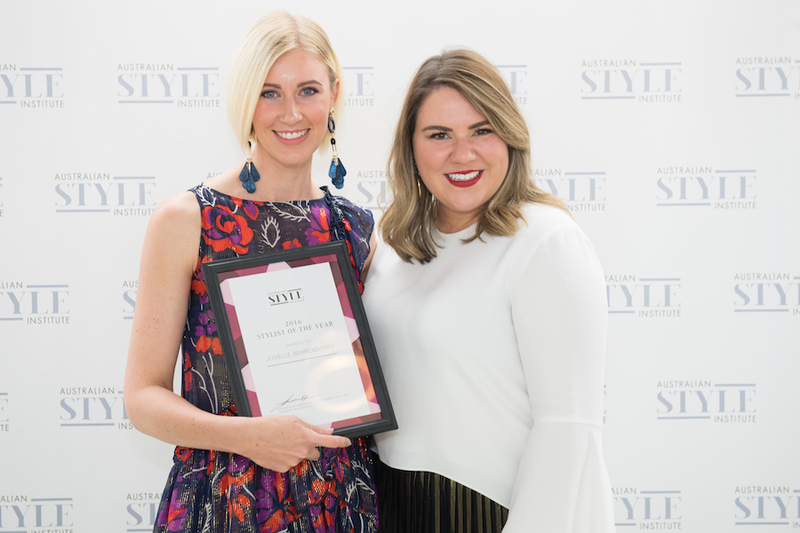 Just ask Lauren Di Bartolo, founder and director of the Australian Style Institute - a truly unique institution that trains the next generation of stylists across multiple disciplines and fields. Ahead, we chat to Lauren about her experiences at the helm of ASI and how it’s possible to transform your passion for styling into a successful career. Tell us about yourself and your background. How did you get started in the fashion industry? While I wasn’t the typical fashion obsessed teenager I knew what I loved and what felt good. My grandmother recently told me that at six years old I discouraged my mum from buying me two 80’s tracksuits and instead purchase one that was better value – even at six I knew the lesson of quality over quantity. I began my journey studying, which involved an unconventional jump from Visual Merchandising to Human Behaviour to Styling (including at Central Saint Martins, Conde Nast and Parsons). I was extremely hungry to learn so that I could not only succeed in my own business, but help create extraordinary experiences for my clients. I had to go far and wide to find the skills that I knew would create consistent, sustainable outcomes for my client. I wasn’t just giving them, a ‘That looks good on you’ but a ‘I’ve just seen you come to life’. You show your clients how to glow and then you teach them how they can get the same outcome on their own. Finding great mentors was also essential for my career progression. You only know what you know, so gaining advice from others who have been down similar paths is important. Still to this day I seek out the expertise of people that are succeeding in areas that are integral to the work I do - business, human behaviour and fashion. Learning never stops. Studying and utilising mentors weren’t just essential to get me started, they were critical in accumulating the knowledge I am now able to share with Australian Style Institute students. What was the catalyst for launching Australian Style Institute? After achieving success in my own personal styling business, I found a new level of passion in teaching others to thrive in this industry. Styling in its past form has been too much about the rules and how to follow them. As humans we want variety, we want to break the rules every now and again. I wanted to demonstrate that great styling can be teaching a client the rules and then giving them permission to break them. As we saw personal styling shift from being a luxury service for the rich and famous to being accessed by the everyday person, demand grew and I knew the industry needed skilled professionals. I’ve since found my passion in providing other style enthusiasts with the skills I’ve acquired from studying across the world. It’s from this passion that Australian Style Institute was born. What can budding fashion stylists find at ASI that they won’t experience anywhere else? We’ve designed a learning experience that provides our students with innovative skills, exclusive opportunities, access to industry partners, student development and mentoring. These resources allow our students to be a step ahead of the rest. Our light-filled campus is a professional environment that not only allows our students to be creative, but provides them with the industry’s leading facilities. Every part of the student experience has been devised for learning success. We enrol a student who has a love of fashion and a deep care for helping others to look and feel their best. As a result, we have a supportive community of stylists who refer work across the world and makes them a powerful network like no other. What do you think gives ASI graduates an edge when starting their own journey into the styling industry? A support network. While our students are thriving across the world, they’re connected by the strength of our community and online resource library. They can access it anytime, anywhere – we’re never far. With the various streams within the styling world, there are specific skills needed to excel. In editorial styling, we’re constantly pushing creative boundaries, whereas in personal styling it’s important we understand the client. Our students are equipped with the behavioural understanding to work with a client of any age, size, personality or budget. ASI students move beyond their personal style preferences and create truly unique experiences with their clients. What tips would you give to someone thinking about studying at ASI? Have a conversation. The power of a single conversation is enough to change a life. Our National Course Advisor’s role is to assist up and coming talent in fulfilling their potential and determining how we can help them achieve it. 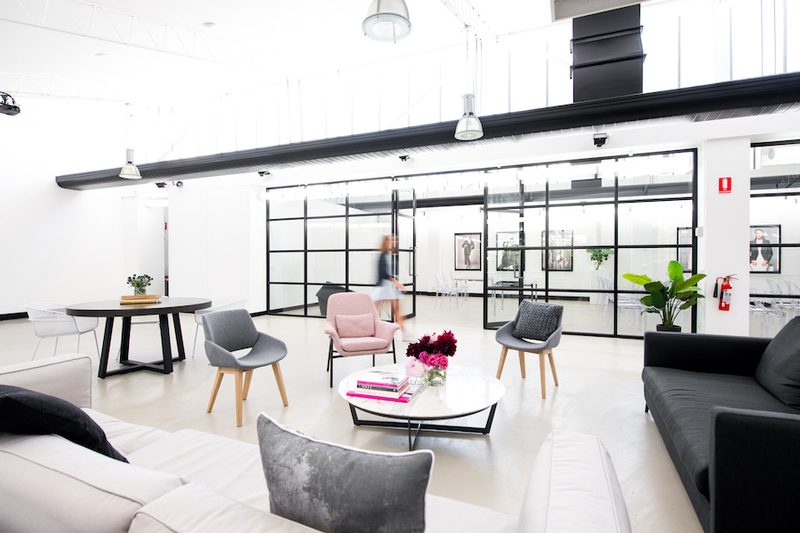 Our previously sold out Become a Stylist events which are held across Australia and New Zealand are a great place to start. It’s a jam-packed day of learning about the career pathways available to stylists, role and responsibilities and our courses. We also run information days and campus tours, which are coming up in February. We hear ASI is about to celebrate its 7th birthday. As director, what has been your most memorable moment from the past 7 years? Way back in 2010, a fortnight after we opened, our very first student had secured a client – the first of the many student successes at ASI. It demonstrated to me not only the commercial viability of the styling industry but the impact we can have, collectively as an Institute. To this day, the accomplishments of our students continue to light me up and drive me to be better. On a more personal level, when I look back to when I started my family weren’t overly impressed with styling as a career choice. While I knew they would always support my decisions, it wasn’t what they had planned. I remember my confused tradie father questioning who would actually need a stylist and if shopping for a living was a really a career. It’s fair to say he thought I was setting myself up to fail. Fast forward to a few years later and he could see the difference I had made to my clients and in turn the lifestyle I had been able to make for myself. After a recent personal shopping session with me, my dad truly gets it. He called me up to tell me (with genuine excitement, I might add) that his new aubergine brogues matched his pocket square. While to him it was just another conversation with his daughter, it was an extremely significant and heartwarming moment for me. Lauren Di Bartolo with 2016 ASI Stylist of the Year Juvelle Behrendorff. This comes back to the old saying ‘if it was easy, everyone would do it’. When you truly listen to what lights you up and makes you happy, you can turn up to work every day feeling challenged, with an opportunity to grow. That’s something to fight for. We as humans have three fears: fear of not being good enough, fear of not being loved and fear of not belonging. Once you learn that there will always be fear, it’s how you recognise and move past it that will allow you to grow. I started looking for opportunities that would scare me rather than shying away from them, which is something I would have done at the beginning of my journey. What’s a failsafe styling trick you swear by? Comfortable shoes. As stylists, we can be on our feet for hours - whether that’s researching, shopping or on a photo shoot. While I love a pair of stilettos as much as the next person, there’s nothing worse than the awkward grimace of someone breaking in a new pair of heels. It’s all about a non-crease outfit. You can look incredible in front of the mirror but strapping on a seat belt or finding a spot to squeeze into on the train will never leave you looking fresh as you arrive. Turn up looking as polished as you did when you left the house by choosing non-crease fabrics. Avoiding high necklines is also really important. 80% of communication is unconscious and by lowering the neckline (not too far, no cleavage!) to the collarbone you can look more approachable and open. All images supplied by Australian Style Institute.